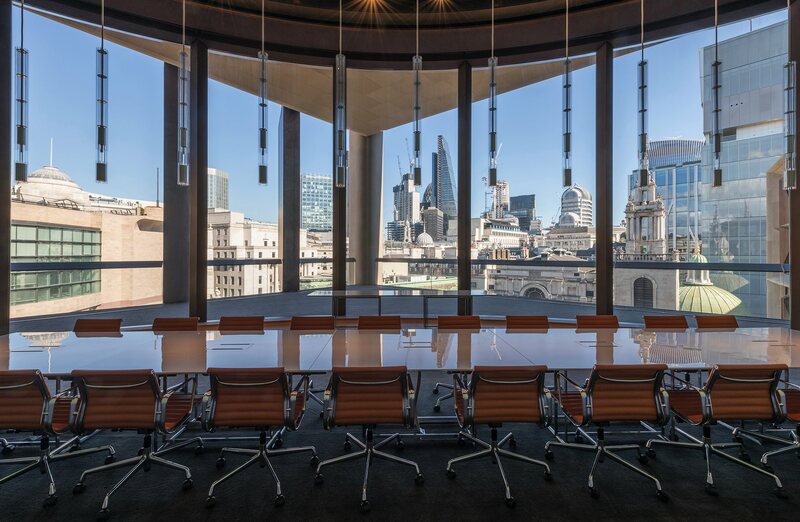 The Foster + Partners designed Bloomberg European headquarters in the City of London occupies a 3.2acre site between the Bank of England and St Paul’s Cathedral. Responding to its historic context, while re-envisioning the future of office buildings, it provides the highest standards of sustainability and wellbeing for its occupants. The intention was to develop an inspiring, innovative, dynamic and collaborative workplace that encouraged teamwork. A key element to achieving this aim is the conference rooms where ideas are explored and shared around the world. 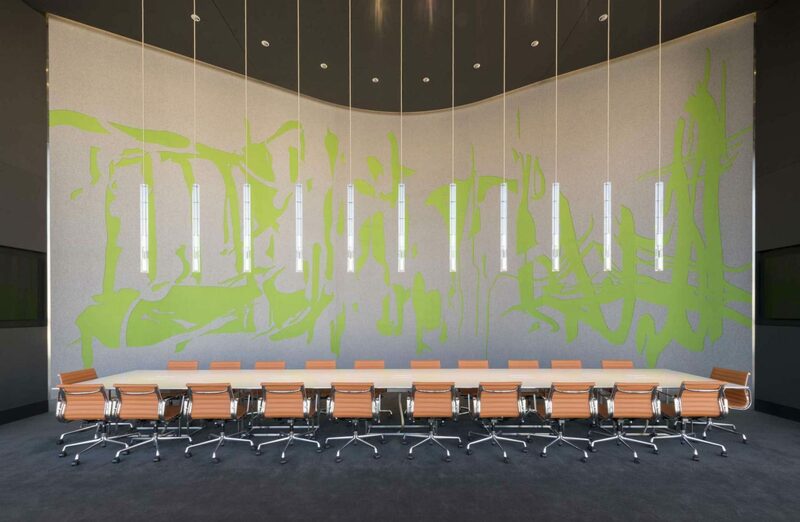 The Walbrook Dining/Meeting Room required multiple statement LED light fittings that would not only provide illumination and an aesthetic contribution but would also inconspicuously house the microphones needed. Construction contractor Sir Robert McAlpine had previously worked with Dernier & Hamlyn on other complex projects including Quadrant 3, the conversion of the former Regent Palace Hotel, to provide a mix of office, retail, residential and restaurant space and suggested to Foster + Partners that they would be the ideal choice to propose an appropriate custom-made solution. 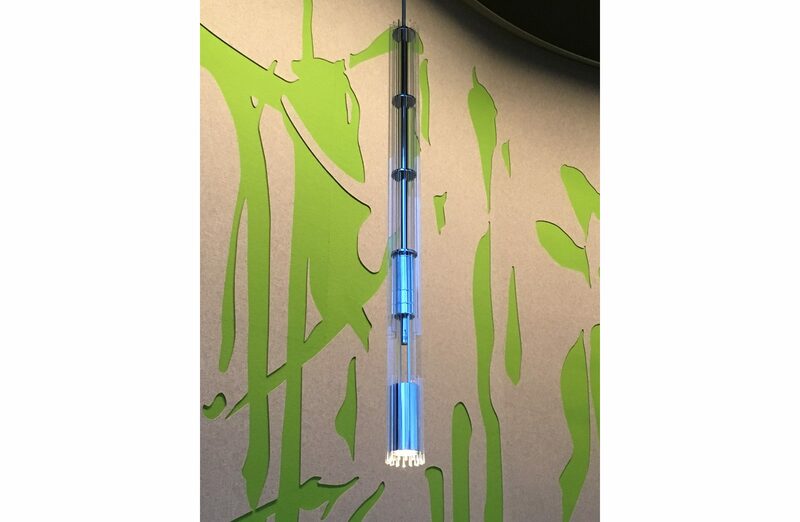 The original design specified eleven 1,145 mm long vertically hanging glass tubes. However, after analysing the fragility and also the impossible task of making such sections perfectly straight in glass, our team recommended high quality acrylic alternatives. They then manufactured a prototype fitting and modelled multiple scenarios for the cabling for the lighting, the microphones and suspension to determine the optimum cable arrangement that would eliminate interference, which was then encased by hand in silk. 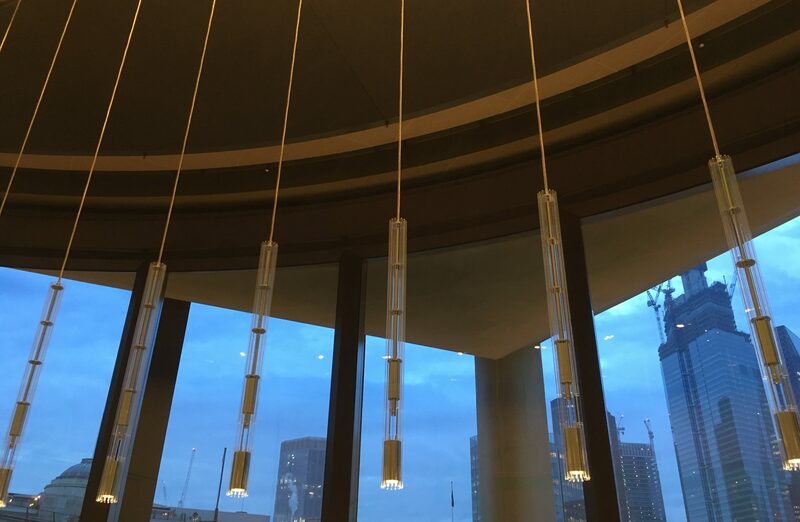 Months of extensive testing followed, the results of which informed production of perfect custom pendants that met all of the client’s criteria for sustainability, maintenance and technical performance.